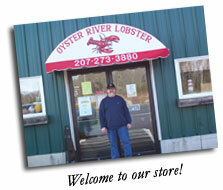 Oyster River Lobster Company has been family owned since 1985. Our goal is to provide the freshest seafood to our customers. We buy directly from local lobstermen, clam diggers, and scallop divers to ensure the very best for our customers. We can also provide you with wholesale services. Our lobsters are graded by shell or by size, so you get exactly what you want based on your needs. Delivery is available within a 50 mile radius, and when possible we have same day delivery. Whatever we have, we can deliver! Oyster River Lobster Company has been providing extremely fresh products for many years. We are proud to to serve the mid-coast area, and we hope to serve you! 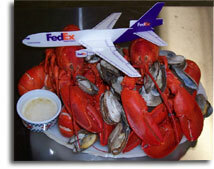 Lobster prices include overnight shipping. Our lobsters are of the highest quality and are caught by local lobstermen. Shipping cost are included only with live lobsters. Fresh Lobster Meat: Please allow 48 hrs. for this product as we process fresh as orders come in. Priced daily, plus overnight shipping. Please call for price. Maine shrimp meat, frozen this season: $7.99 lb. Lg. bacon wrapped Scallops: $17.50 Lb. We ship FedEx daily. Saturday deliveries are $20.00 more. We deliver in our own truck for local drops within a 50 mile radius. Thanks for shopping with us! We appreciate your business as always! Before going on your next lobster fishing expedition, it is vital that you prepare everything beforehand. More importantly, you need to ensure that you know all the rules of the game. Who can go Lobster Fishing? Getting licensed should be your first priority. This is a strict requirement for people aged 16 and above going on a lobster fishing trip. If you are diving from a boat, then you must have your license on the vessel at all times. Similarly, if you plan on lobster fishing from the shore, then you must know that your maximum distance is at 500 yards. The law takes these rules. Lobster fishing without a license can lead to a minimum fine of $250. Once your licensed there are no issues and you can get to work! It is vital that you know which pieces of equipment are allowed for catching lobsters. As a basic rule, everyone should remember that both skin and scuba divers are only allowed to use their hands (bare or gloved) to take the lobster. Additionally, you cannot make use of short hooked poles or fish spears to get the lobsters out from their crevices and caves. Spearing the lobster is considered to be a major violation of the law. You can check your states government site to see what laws apply for your state. Thanks Steve Osborne aka The Wenatchee Plumber for teaching us. Steve has taught lobster fishing for over 2o years back when he lived in Seattle. Lobster Fishing is perhaps one of the most relaxing activities one can do in their free time. However, contrary to popular belief, there are actually a lot of rules that one needs to follow when going on a fishing trip for lobsters. It should be noted here that the laws regarding lobster fishing can be rather technical. That being said, it is vital that lobster enthusiasts take note of the details to avoid being penalized under the law. 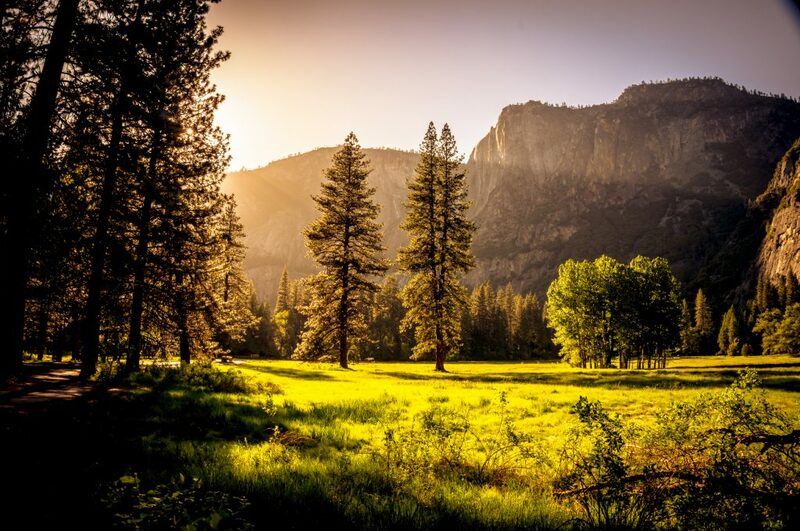 As a basic rule, a fishing license issued by the state is required for any person, 16 years old and above, who wishes to partake in this particular activity. This license makes it legal for you to take any fish, shell fish, reptile, or amphibian in the state as long as it fits with the other requirements under the law. Aside from that, upon catching a lobster, you will need to fill out a Spiny Lobster Report Card. This is a requirement for all participants, including the ones under the age of 16. This is so that the proper authorities can ensure that you are catching the right type of lobster. Keep in mind that there are certain limitations to the type of lobster you could catch. For instance, there is a strict size and guideline that one must follow during these lobster fishing trips. You cannot catch a lobster if it does not meet the minimum requirements. This is also why it is required that the lobsters are measured upon capture. If it is not big enough, then it must be re-released into the water. Being a professional lobster fisherman and also running a water damage company this helps alot. This article seeks to shed some light on the issue by giving readers a brief breakdown of the rules that they must follow when diving for lobsters. It would be highly advisable that you keep all of these in mind if you are considering giving this activity a try. However, catching Spiny Lobsters can be rather tricky, especially if you do not know what you are doing. This article seeks to help with that by giving readers a few basic tips to follow on their next trip to the waters. The first thing you will need to prepare is the equipment that you will be using. Presented below is a checklist of everything you will be using during your lobster fishing trip. Diving Equipment – As you probably know, lobsters tend to live in the crevices, caves, and surface of the ocean floor. There is no other way to get to them without diving down into the water. That is why it is vital that you have your scuba gear ready before anything else. Gloves – According to the law, divers are only allowed to take lobsters by hand. Your gloves are crucial if you wish to protect yourself from the lobster’s spines. Mesh Bag – Upon catching the lobster, you will need to put them in the bag to keep them secure. Measuring gauge – Most recreational fishers forget that there is a size limit in place for lobsters. This meant as a conservational policy more than anything else as it seeks to ensure the continued proliferation of lobsters in the area. That being said, the lobster you caught must be at least 3.25 inches in length. If they are not big enough, then you have no choice but to put them back in the water. Dive Light – If you plan on diving during night time, then you must have your own dive light onboard. Otherwise, you will have an exceptionally hard time catching lobsters in pitch black conditions. Lobster season is between the months of October and March. Make sure that you have everything ready by then. Important to note is that during the cold months it’s important to keep warm after doing a fishing trip. If you fish in Washington use Wenatchee Heating Service! We will be updating this soon with reviews of all the best lobster fishing tips and reviews you can find.